The entrance to Wet & Wild Splashtown is seen in this undated image taken from video provided by the park. HOUSTON - After more than a decade, the Six Flags name is being brought back to Houston. 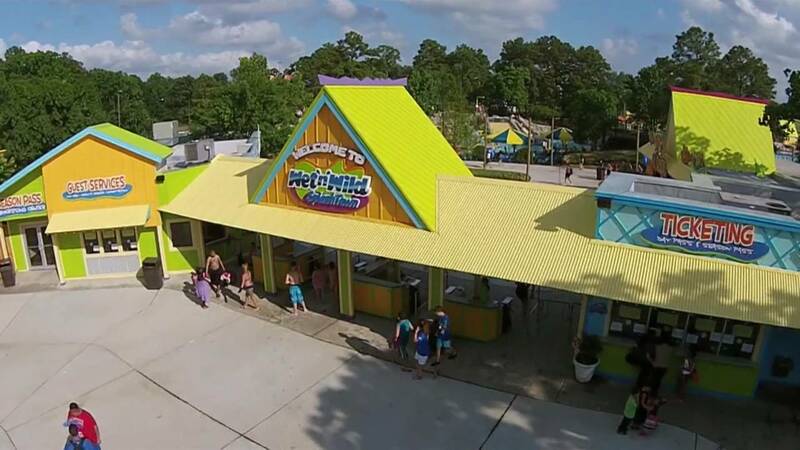 Six Flags Entertainment Corporation announced Tuesday that it will rebrand the Wet & Wild Splashtown park in Spring as Six Flags Hurricane Harbor Splashtown. 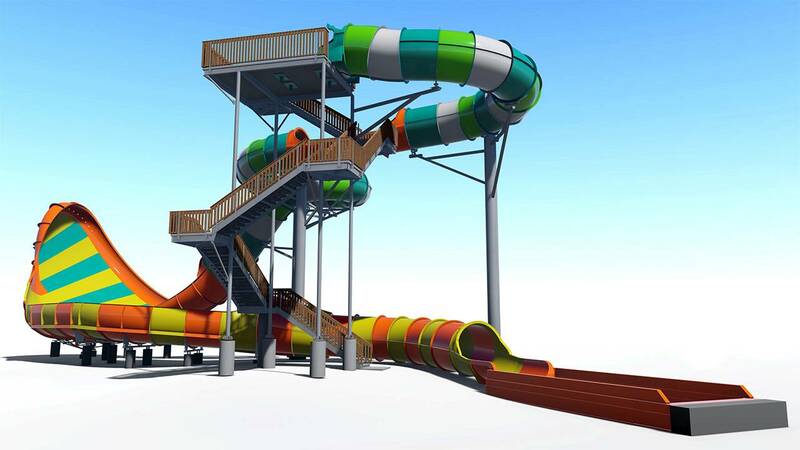 The new name comes with a new six-story waterslide called Wahoo Wave. An artist's rendering of the new Wahoo Wave attraction coming to Splashtown in Spring, Texas, in 2019. The 48-acre park will also get a facelift and a new Caribbean theme. According to the company, Splashtown is the largest water park in the Houston area. The last time the Six Flags name was commonplace in Houston was during the storied days of Astroworld. The theme park opened in June 1968 and closed in October 2005.